We can fit a bespoke wine rack into any space, whether it's a standard shaped wall or a small space under the stairs. Order your bespoke rack over the phone and we will make sure it'll fit into your desired space. Choose from the traditional or hardwood racks, both will provide the perfect solution to storing wine. Bespoke racking is ideal for wine lovers, wine experts and even if you are new to the world of wines! 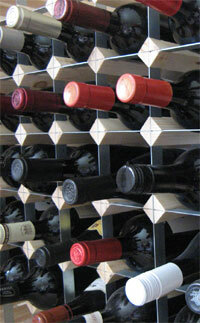 You can order a tailor-made wine rack for your living space or business at an affordable price. A bespoke storage rack is both unique and individual; it can be designed to match décor or personal requirements. 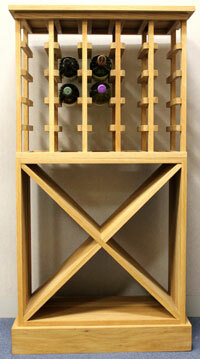 We offer bespoke, made to measure hardwood racks in pine and oak and also the very popular traditional wine racks. What racking options are you after? Shelves? Cubes? Case racks? Does the rack require tops, backing or plinths? Once you know the answer to these questions you can begin to picture your bespoke racking design. As long as you know the space in which your rack can fit and the number and type of bottles you want it to hold, we can do the rest! Made to measure wine racking is perfect for wine lovers, enthusiasts and professionals. Traditional wine racks are made to fit perfectly within your available space, in any shape or form. The traditional racks can be made to fit standard sized bottles, halves or magnums; you let us know your wine racking requirements. Our standard size rack can accommodate all bottles of the normal 75cl size which includes quart and half-bottles of Champagne (standard size racks will hold Bollinger/Pol Roger style bottles and the Champagne/Magnum racks will hold Krug and Dom Perignon style bottles). Note: It is possible to manufacture racking to hold just half-bottles or Magnums, but please be aware that due to the different sized spaces, visually; the horizontal lines will not be consistent between the three sizes of racks. Ordering a bespoke rack can be daunting if you are unsure of the practicality of the design and space. However, we can help you achieve your vision. We offer bespoke hardwood wine racks in either oak or pine, finished to the highest standard and quality. It is hand crafted using the finest materials and tailored to your specific and individual requirements. 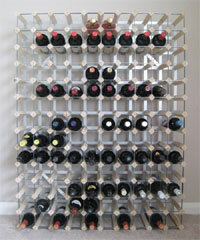 You can choose from any combination of individual bottle racks, wine cubes and case racks. Depending on the wood type (Pine or Oak), the units are sanded then sealed with Danish Oil Finish to accentuate the beautiful grain of your chosen wood. A handmade rack allows us to slightly adjust dimensions to ensure a perfect fit in your space. 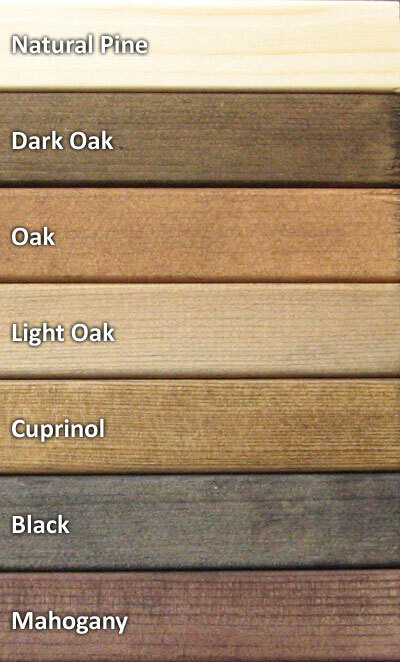 Build your own custom sized oak or pine wine rack. Perfect for your dining room, kitchen, cellar or business. Can be designed to hold standard wine bottles (0.75l) as well as other types of bottles. Your unique wine bottle storage system. We will make sure that the size you’ve chosen will actually be able to get to the area or space where you want to position it (if it’s made in one piece). If this is not possible, we can make the rack in separate pieces so it can fit through doorways and small spaces. These pieces can then be fitted together to make your rack and you will never spot the join. We would like to remind customers that it is important all sizes are double checked before ordering, this includes width, height and total bottle size. We want to make sure your rack is exactly how you expect it to be. During the ordering process, we endeavour to check that all our measurements and calculations match yours. If there is anything that you are unsure of or if you feel you want to make an amendment to the order, then please contact us straight away. We want you to feel satisfied with the customer service you receive as well as your bespoke wine rack order. Here are six simple steps to follow when ordering the perfect wine rack for your home or business. We believe in keeping it simple, so it is easy for both you (as a customer) and us. Please feel free to browse our bespoke oak wine racks, made to measure solid pine racks and traditional wine racks. Please feel free to call us on 01903 786148 to discuss your wine racking options in more detail. We can advise you on the best racking option for your space and we can confidently say we are able to meet most requirements and needs. We have a great deal of experience from designing single wine rack designs to complete cellars with individual bottle racking options for restaurants and hotels. Our knowledge and experience allow us to provide you with excellent customer service every step of the way. No rack is too big or small for Wineware! You can also contact us via our online form if you have any queries. We look forward to hearing from you soon.